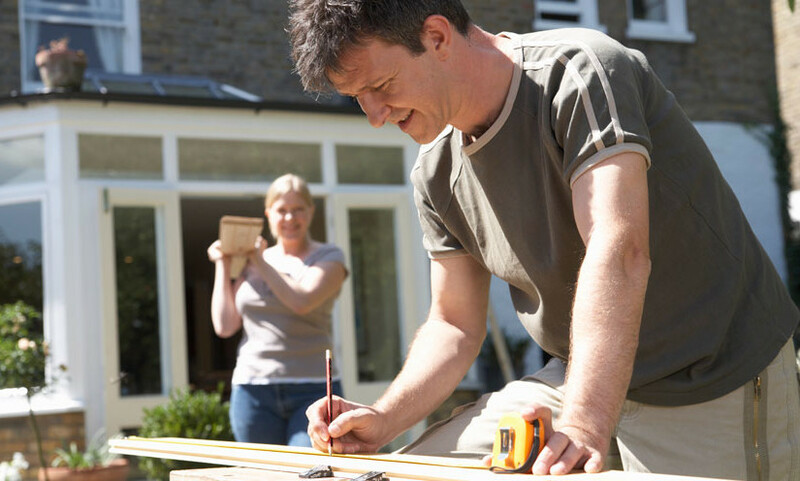 British households plough almost £30billion into home improvement projects each year – building extensions, erecting conservatories and converting lofts throughout the country. There’s no question that investing in your home is one of the most rewarding ways to spend your hard earned cash. But which of the many renovation options on offer will put the most money back into your pocket? In this week’s blog post, we take a look at four of the most popular home renovation projects on Bark to discover which of them will add the most value to your home. Done correctly, a conservatory costing between £4,000 and £10,000 could increase your home’s value by 5%. Given that the typical UK home is worth £216,750, that’s an average increase of around £10,800. Conservatories are cheaper than full home extensions, they don’t require planning permission and they can often be completed within a week or two. Remember that the ideal conservatory is a stylish segue between your indoor and outdoor spaces. So choose a design that strikes a good balance by adding the extra room without taking up too much garden space. Experts agree that creating the space for an extra bedroom in your house is the easiest way to increase its resale value. One of the most popular ways of doing this is by converting your unused attic space, with one Nationwide Building Society survey suggesting a loft conversion could add up to 20% to the value of your home. How much your loft conversion will cost depends on the structure and accessibility of your building. But a typical quote from a builder will be somewhere in the region of £10,000-£15,000. Work can often be completed in as little as six weeks and, unless you’re altering the roofline of your building, you may be able to go ahead with the project without obtaining planning permission. If you are only going to improve one room in your house, says TV property expert Phil Spencer, you should make it the kitchen. Phil says a new kitchen will typically add 4.6% to the value of your house – which translates to nearly £10,000 for the average UK home. Adding square footage to your home is pretty much a surefire way to boost its value, and there are a range of extension options you can choose from. Single storey extensions like kitchens, living rooms or dining areas often don’t require planning permission – while a reputable builder should be able to handle getting permission to go ahead with larger renovation projects. As with any building work, it’s important to compare several quotes before hiring someone. A poor extension can actually damage your home’s resale value, so take the time to shop around until you find the best pro for the job. Expect to pay upwards of £20,000 for the project and add around 11% to the value of your home – which translates to £28,800 for the average UK home. 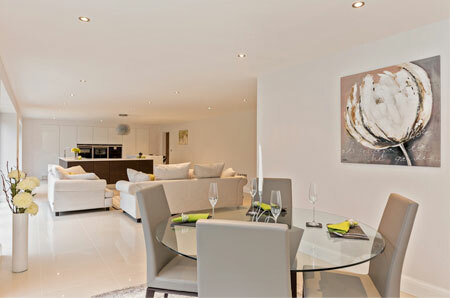 Hiring an interior designer is a smart move if you want your home to look its best. Even if you have a natural flare for decorating, drafting in a professional can be an easy way to save time and money. Whether you already have an idea of what you want, or are starting the project from scratch, a skilled interior designer will work with you to create the home of your dreams. Here’s what three of our Elite Pros have to say about the best way to hire an interior designer for your next home makeover project. 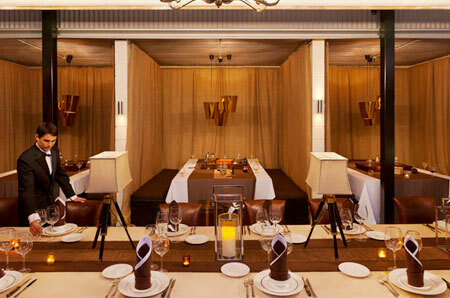 What services can an interior designer provide? You can hire an interior designer for projects of all shapes and sizes, from renovating a single room to an ongoing relationship to help you reimagine your living space many times over the years. 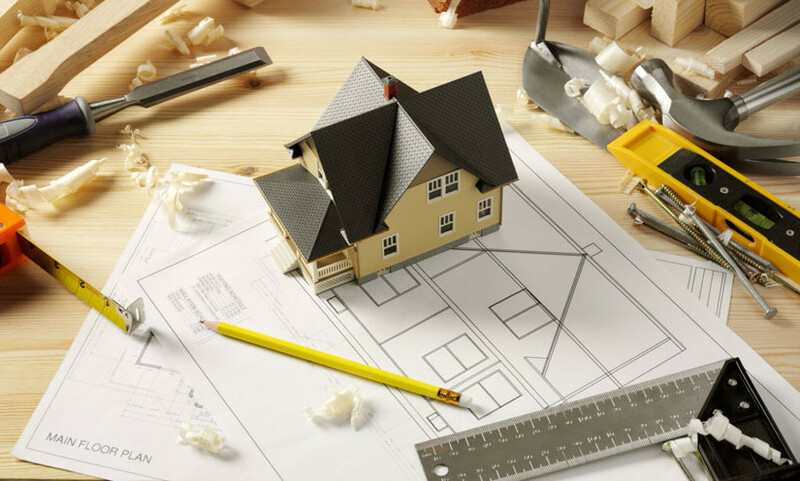 But whatever the scope of your home improvement project, the role your interior designer will play can be broken down into three phases: 1) concept design, 2) detailed specifications and 3) implementation. What should you ask before hiring someone as your interior designer? 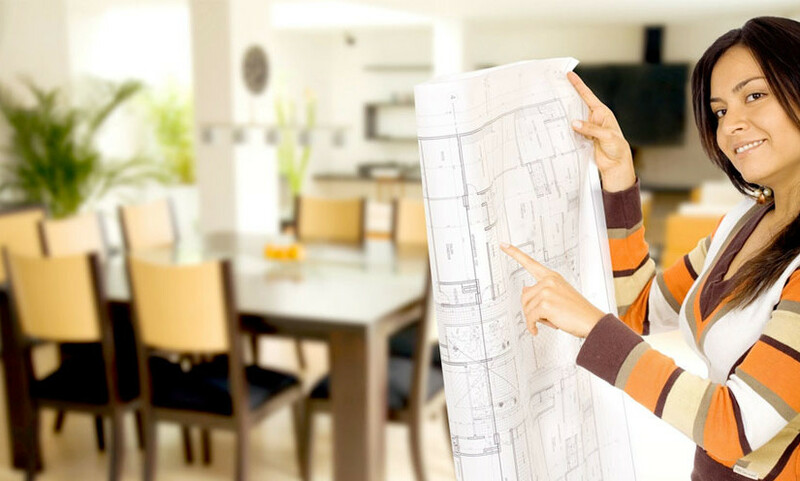 Before you begin contacting interior designers, you should have a rough idea of what your home improvement project will involve. Take a look at the space and think about which features you’re ready to change, as well as what impact your lifestyle will have on the finished space. 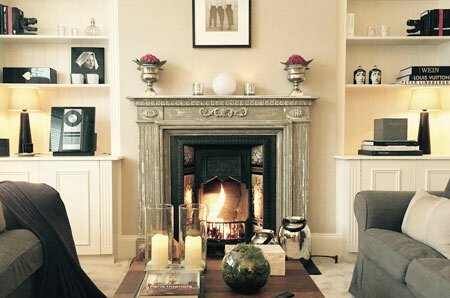 When you book an interior designer, what happens next? When you find an interior designer you think you can work with, the next step is to meet in person and hammer out the details of your project. How much does hiring an interior designer cost? The cost of hiring an interior designer can vary wildly depending on the scope of the job and the experience of the professional in question. Every interior designer will work differently and charge accordingly – either by the room, on a percentage basis, or even as a fixed lump sum. Comparing quotes from a selection of qualified pros is the best way to ensure the job is done at a price that works for you. Why should you hire an interior designer for your next redecorating project? Hiring an interior designer to remodel your home does more than just save you weeks of time and effort – it can also save you money. When dreaming about which improvements you’d like to make to your home over the coming year, investing in energy efficiency measures probably isn’t at the top of your wish list. But while flashier purchases like pool tables and granite work surfaces may be more appealing on a superficial level, it’s actually these more “sensible” investments that will really pay off over the longer term. Taking the time now to stop your home leaking money will help put cash back in your pocket to spend on anything you like. So, today we’d like to share five energy saving projects that could cut your bills by £880 this year alone. 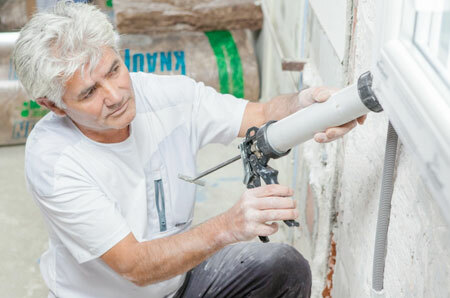 About a third of all heat lost in uninsulated homes leaves through the walls, which is why modern homes are now built with wall cavity insulation. But, if your home was built before the 1990s there’s a good chance it has hollow wall cavities – meaning you could save up to £250 a year by getting them filled by a professional home insulator. Think of it as wrapping a blanket around your home to keep everything warm without having to turn up the heating. Replacing your draughty old windows and doors with energy efficient, double glazed ones will do a whole lot more than just save you £110 a year on bills. It also cuts down on noise pollution from outside, helps reduce your carbon footprint and adds significantly to the resale value of your home. So, although the annual energy savings may well be modest, the many additional benefits you’ll enjoy make double glazing a highly rewarding investment for your home. One of the simplest ways to knock a few pounds off your energy bills is to hire a draft proofing expert to survey your home. Having a professional block up the unwanted gaps that let cold air in and hot air out is cheap and easy to do – and could shave between £25-£35 a year off your bills. 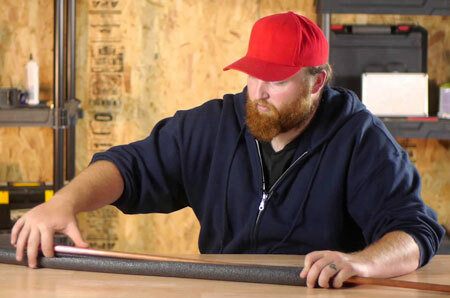 Place your Bark now to get quotes from local draft proofing installers fast and free. 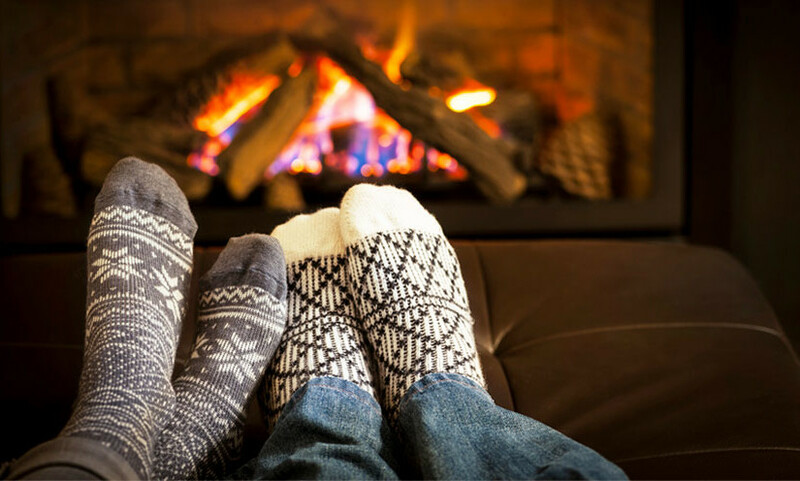 According to the Energy Saving Trust, heating and hot water accounts for 62% of a typical household’s annual energy costs. That means the quality of your boiler can have a big impact on how much you’re paying – and a clunky old one could be costing you a small fortune. In fact, hiring an experienced gas engineer to install a modern combi boiler in your home could save you £255 this year alone. A quarter of all heat is lost through the roof in an uninsulated home. So it should be no surprise that insulating your loft, attic or flat roof can be a simple way to reduce your heating bills by up to £240 a year. 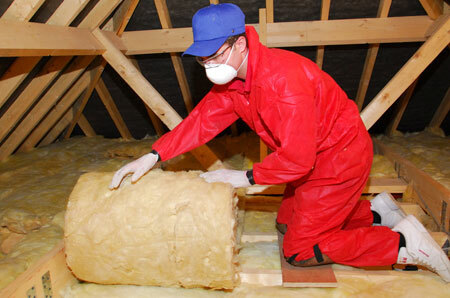 Once properly installed, loft insulation is effective for upwards of 40 years, meaning it has the potential to pay for itself many times over. 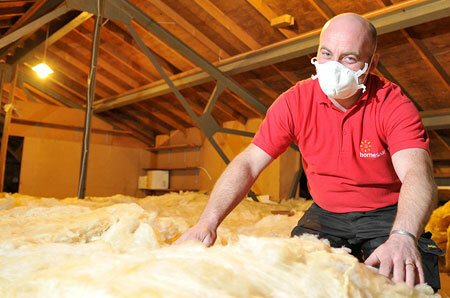 So place a home insulation Bark now to get quotes from local loft insulation specialists fast and free. With Brides Magazine putting the average cost of a UK wedding at £30,111, it’s hardly surprising that the internet is awash with articles suggesting ways to save money when you tie the knot. 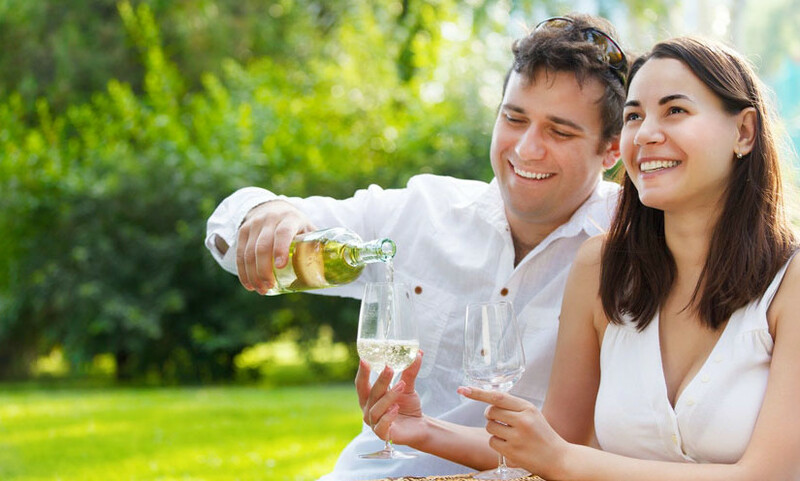 These cost cutting measures tend to focus on which bits of your big day you could do without – such as ditching the free bar, having fewer flowers or baking your own wedding cake. But there is another way to save hundreds – or even thousands – of pounds on your wedding without cutting back on the things that will make your special day special. While it’s true that hiring the best venue, photographer and entertainment for your wedding can be expensive, there are also some great deals out there that could save you a small fortune. So the best way to save money on your wedding without cutting important corners is to shop around to find the best value suppliers – and that’s where Bark comes in. We’ll do all the legwork for you to contact potentially thousands of pros on your behalf to get you quotes fast and free. 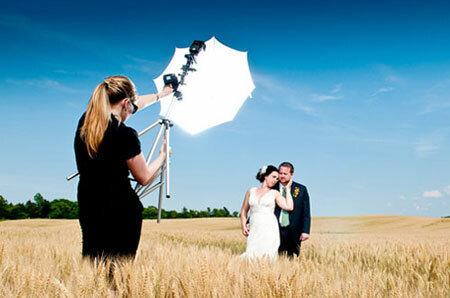 The best wedding photographers provide a comprehensive service, complete with a wedding album and second shooter to assist on the big day – and will often charge in excess of £1,200 for their wedding packages. But there are plenty of more affordable photographers who will still do a great job of capturing your special day on film, and finding the right one for you is easy with Bark. On average, our wedding photographers quote around £700 for wedding photography, with some offering their services for as little as £395! 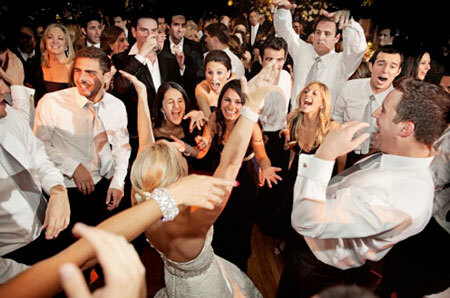 Premium wedding DJs in London and the South East will often quote £450 or more for their services – and if you want to get the best money can buy, you might feel that’s very reasonable. But there are also many great DJs out there who will play your wedding for a fraction of that price and still keep your guests dancing all night long. For example, the average quote for wedding DJ services on Bark is £300 – with the cheapest DJs costing as little as £200 for the night. 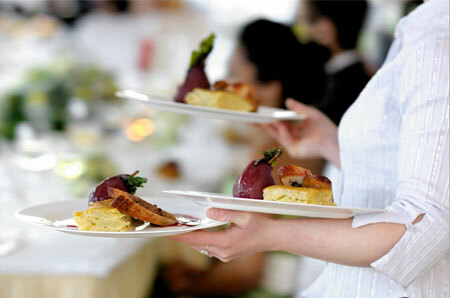 Gourmet wedding catering can easily set your back £35-£50 per head – so, even with a relatively short guest list, it’s easy to end up spending a ton on food and drink. Luckily, there is a wide range of different wedding catering options out there to suit all budgets and tastes, from traditional three-course meals, to hog roasts and beyond. Most Bark pros quote around the £12-£15 per head mark for wedding catering, with some budget caterers quoting as little as £6 per head. With dozens of wedding categories at your fingertips – from wedding cakes to venue hire, wedding flowers and more – finding everything you need for your wedding is easy with Bark. Simply let us know what you want and we’ll reach out to recommended service providers on your behalf to get you quotes fast and free. 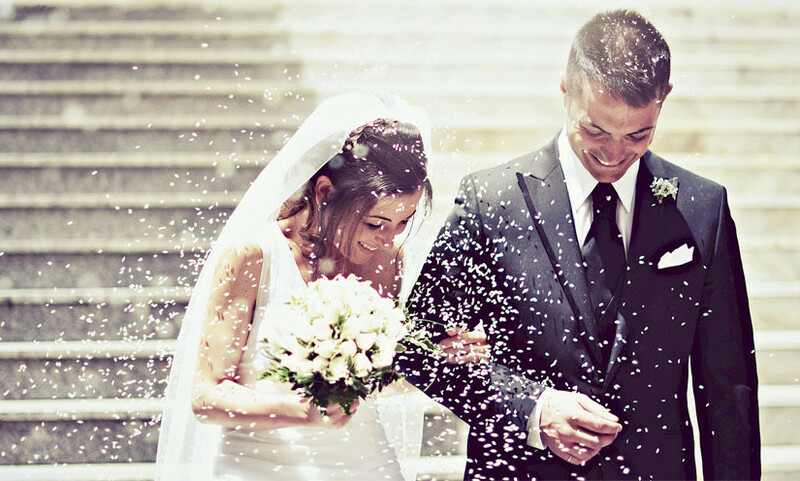 Click the link below now to find great professionals for your wedding and start saving money with Bark today. It’s New Year’s resolution time – make 2017 your best year yet with Bark! After another trip around the sun, it’s time to start thinking about your goals for the year ahead. 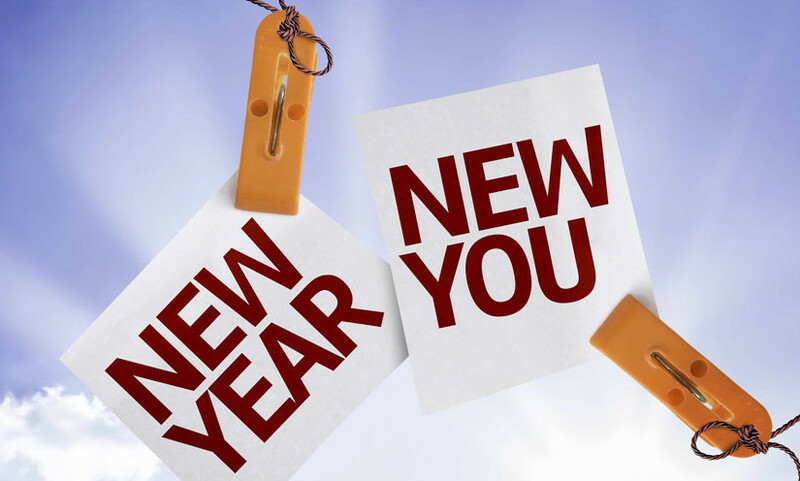 The New Year is a chance to turn over a new leaf, ditch those bad habits and take on exciting new challenges! Some people struggle to stick to their resolutions each year. But with Bark, finding a skilled expert to help you stay on track is easy. Simply choose one of our top New Year’s resolutions from the list below and place a Bark to get quotes from local pros fast and free. With the indulgent Christmas period behind you, it’s time to start sculpting your ‘beach body’ in preparation for the glorious British summertime. Every year, millions of Brits resolve to jump on the treadmill and get into the best shape of their lives. But, without a professional to motivate them, most don’t even make it past January. That’s why it’s so important to have someone there to keep you in the gym and pushing yourself to your limits. Place a personal training Bark now to get quotes from local pros fast and free. They say to have a second language is to possess a second soul. So perhaps it’s surprising how few of us take the time to get fluent in a second tongue. Not only will learning a new language make it easier to explore many of the world’s greatest foreign holiday destinations – it can also give you a crucial edge in the jobs market. So if you want to expand your mind and open up new personal horizons this year, place a Bark now to find local language tutors fast and free. We believe everyone should be able to pick up an instrument and play a few tunes. It’s a great way to relax and de-stress, while simultaneously sharpening your mind. The guitar is a great instrument for beginners because it’s versatile, it sounds great – and you can start playing almost right away. 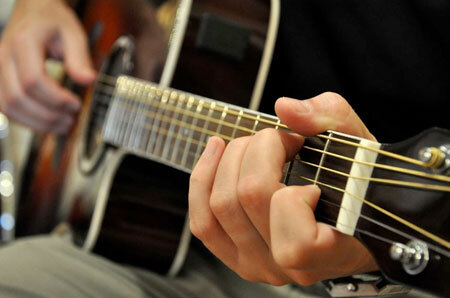 Master a few basic hand shapes and you’ll be jamming popular songs by Nirvana, Bob Dylan, Led Zeppelin and more in no time. A life coach can help you come to terms with the radical changes that are often necessary in order to live your life to its fullest. From going for that big promotion at work, to improving your social life, or even proposing to your other half – it can be hard to identify what steps you’ll need to take to achieve your dreams. A great life coach will help you navigate your way to change and support you moving forward as you begin to enjoy a happier, healthier life. The rewards of giving up smoking are huge, and they begin immediately. The amount of carbon monoxide in your bloodstream will start to decline in just a few hours – and you’ll start feeling fitter and healthier in a matter of weeks. 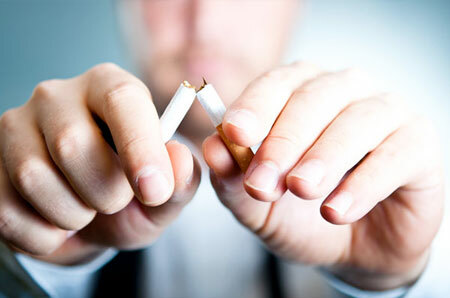 But those first few days without cigarettes will also be when your nicotine cravings are at their strongest, and many people find it impossible to quit without help from a trained professional. Place a Bark now to find recommended hypnotherapists in your area to help you overcome your addiction and ditch your smoking habit for good. Posted on December 15, 2016 December 15, 2016 Author John Oberlin-HarrisCategories For BuyersTags French Lessons, German Lessons, guitar lessons, Hypnotherapy, Life Coaching, Personal Trainers, Spanish Lessons2 Comments on It’s New Year’s resolution time – make 2017 your best year yet with Bark! It’s National Maintenance Week! Founded in 2015 by the Society for the Protection of Ancient Buildings, this annual campaign is dedicated to reminding people how vital proper maintenance is during the winter months. To help you keep your home in top shape and avoid costly repairs in the springtime, here’s our essential guide to maintaining your home this winter. Being full of water, pipes have a tendency to freeze in winter. As the liquid inside them cools, it expands rapidly and puts strain on your pipes. As a result, thousands of UK families experience blocked or burst pipes each year during winter cold snaps – especially those who live in older properties, or in colder parts of the country. To make sure this doesn’t happen to you, we recommend drafting in a professional insulator to wrap your pipes up warm with insulating foam. 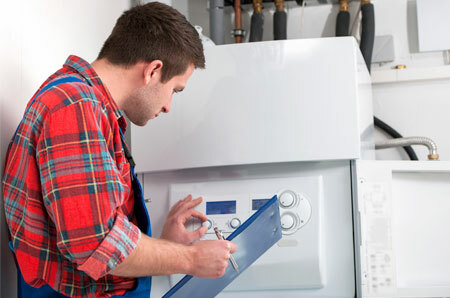 There’s nothing nicer than returning to a warm home on a bitterly cold day – but before you put the heating on full blast, you should book your boiler in for its annual checkup. 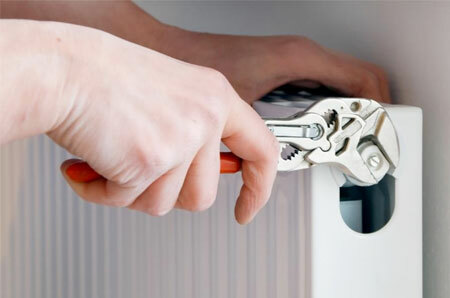 The extra strain that’s put on your boiler during the colder months can cause it to leak or break. So it’s important to make sure yours is in top working order before it gets too nasty outside. It’s also a great way to make sure your central heating is running efficiently, and could save you up to 25% on your heating bills. If your radiators are creaking, or colder at the top than they are at the bottom, that’s a sure sign there’s trapped air inside them keeping the heat from circulating properly. That means it’s time to grab a towel, get on your knees and bleed your radiator. It’s a messy job, but a small price to pay for a lovely warm home. Or, if you’d prefer not to get your hands dirty, simply place a Bark now to get quotes from local plumbers fast and free. About a quarter of your home’s heat it lost straight through the roof. So if you want to keep your home warm without having the heating on 24/7, the first thing to do is check your loft and wall cavity insulation. Upgrading your current home insulation needn’t cost the Earth, and it could save you a fortune on heating bills over the long run. 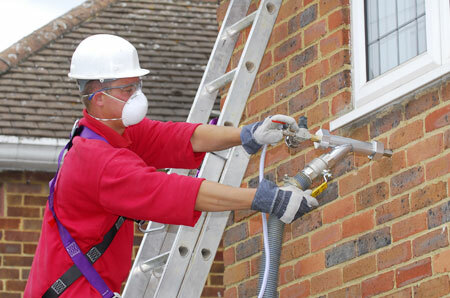 Place a home insulation Bark now to get quotes from local insulation professionals fast and free. Gutters have one job – to guide rainwater off your roof and straight down the drain. But, despite their importance, it can be all too easy to forget about them until something goes badly wrong. 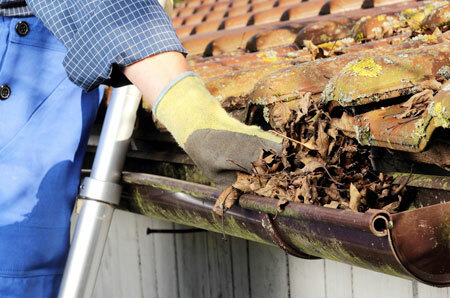 Allowing your gutters to become clogged can cause serious structural damage to your house, and lead to health issues for you and your family from the damp. That’s why it’s important to hire someone to check your guttering thoroughly at least once a year to keep everything working properly. If you’re still agonising over finding the perfect gifts for your friends and family, we want to let you in on a secret: studies show that experiences make far better gifts than things. It may sound counterintuitive at first, but the simple fact is people value experiences more highly than objects. We get excited when we’re looking forward to them, we love reminiscing about them – and we get more value out of them compared to traditional gifts. So forget spending hours searching through crowded shopping centres for things to buy your friends and family – and take a look the thoughtful “gift experiences” you can find right here on Bark. Spa treatments like manicures, massages and aromatherapy sessions are the classic ‘experience’ gifts for lovers and spouses. Everyone loves getting pampered after the hectic festive season, making these treatments great for winning brownie points from your other half. So whether you want to receive a professional massage in the comfort of your own home, or book a luxury afternoon at a local spa – place your Bark today to get quotes from local masseurs fast and free. If you’re looking for a way to encourage your kids to take more physical exercise, martial arts classes could be for you. 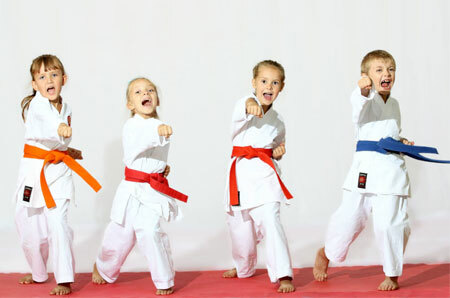 Unlike most team sports, martial arts are easy to practice independently – and group classes provide a great opportunity for your child to get out and meet new friends. 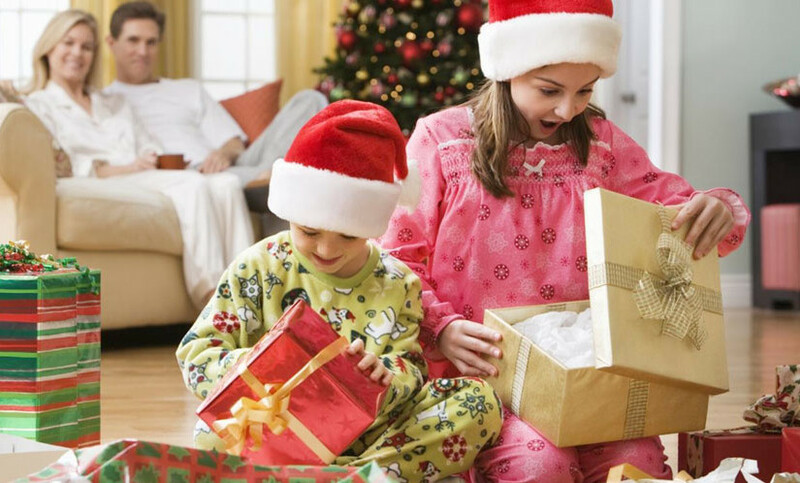 Better yet the popularity of martial arts movie franchises like Karate Kid and Teenage Mutant Ninja Turtles means your child is sure to love unwrapping their brand new martial arts uniform on Christmas day. 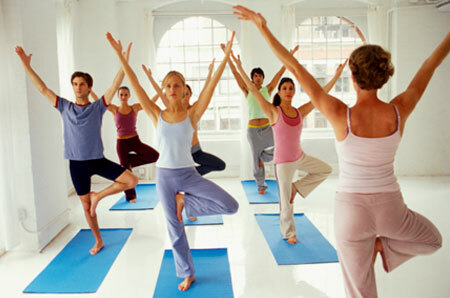 The practice of yoga has been helping people of all ages finesse their mind, body and soul for over 5,000 years. It’s the perfect for building flexibility, toning your body and de-stressing after a long week at work. With a range of types to choose from depending on your strength, conditioning and spiritual goals – there’s a yoga style out there for everyone. So place your Bark now to find yoga classes in your area get quotes from local instructors fast and free. They say Christmas is about the giving, not the receiving. But that doesn’t mean you can’t give yourself a little something as a reward for getting the shopping out of the way! 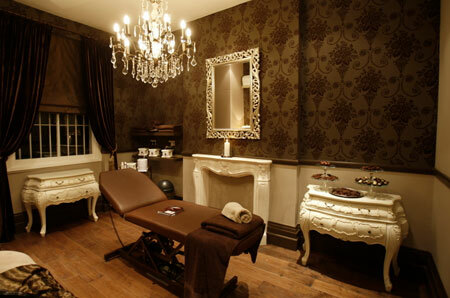 Why not treat yourself to a spray tan, gel pedicure and facial to unwind after the hectic Christmas shopping gauntlet. Click the link below now and book yourself in at a top local beauty salon so you can look your best throughout the holiday season. 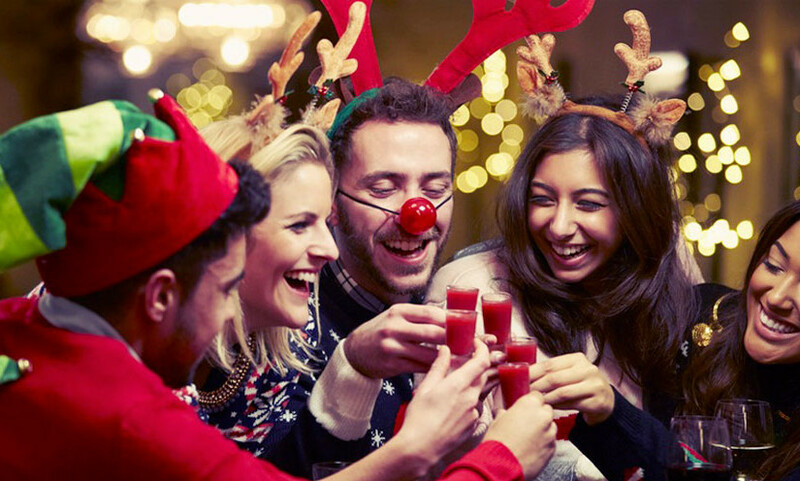 With Christmas party season nearly upon us, now is the time to start planning if you want to make sure your festive do is remembered for all the right reasons. As with any big seasonal event, all the best local venues and entertainers usually get booked up well in advance – meaning it’s never too early to start getting into the festive spirit. So dig out your ugliest sweater, put Cliff Does Christmas on the stereo and take a look at our guide to planning the ultimate Christmas party! 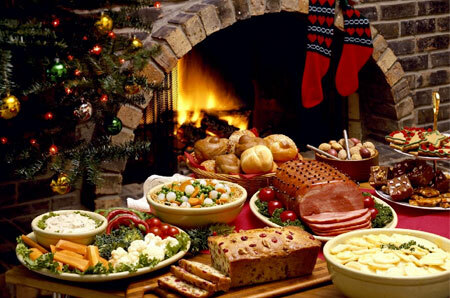 Unless you want to spend your night at home or crammed into the office break room, finding a great venue for your Christmas party should be right at the top of your party planning checklist. Look for somewhere that’s easy to get to and, more importantly, easy to get home from at the end of the night. But remember, the best party venues will often get booked months in advance, so it’s important to start planning early. 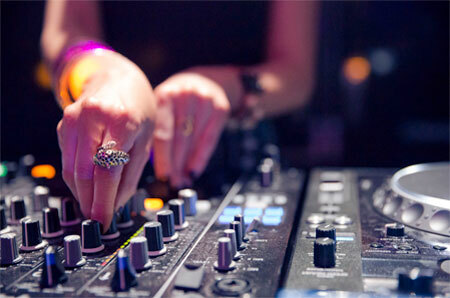 Place a venue hire Bark now and we’ll begin searching for great local party venues on your behalf right away. No party is complete without a great theme to tie everything together. This is your chance to get creative with your outfit, and your friends will revel in the opportunity to get all dressed up. We recommend sending a simple poll around to gauge what sort of event everyone’s in the mood for. 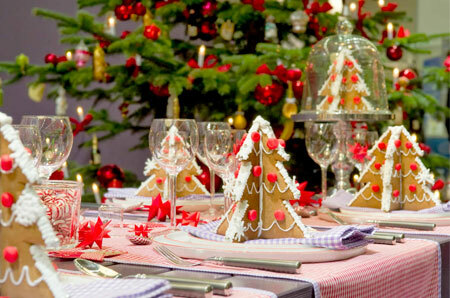 Include a fair spread of options, ranging from festive causal to black tie, or even fancy dress. Then, when you’ve settled on something, place an event decoration Bark to find a great local pro to bring your theme to life. Great food is a must at any party. Drinks will be flowing, and the last thing anyone wants is to be stumbling in the gutter at the end of the night. Find out what your budget is, check whether anyone has any special eating requirements and look for a menu that has something for everyone. Whether you’re planning a large sit down meal, or a simple party buffet – we’ll find a great local caterer to line your guest’s stomachs and keep them dancing all night long. 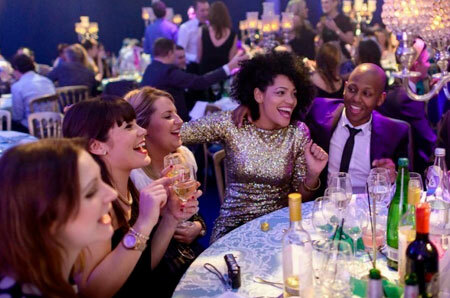 If you want to go the extra mile to give your guests a night to remember, there’s a huge range of entertainment options you can choose from. Hiring a photo booth, booking a closeup magician, or even enlisting some event performers are all great ways to get everyone into the party spirit. But the most important ingredient at any Christmas party is music. Lining up Christmas tunes on a Spotify playlist is all well and good, but you can’t beat hiring a professional DJs if you want to guarantee your guests will be dancing all night long. Last but not least, don’t forget to record the evidence! Or, better yet, hire a professional to do it for you. This is a night your friends will be talking about for months to come, so it’s well worth having someone there to document everything and create a great photo album you can all flick through together in January. 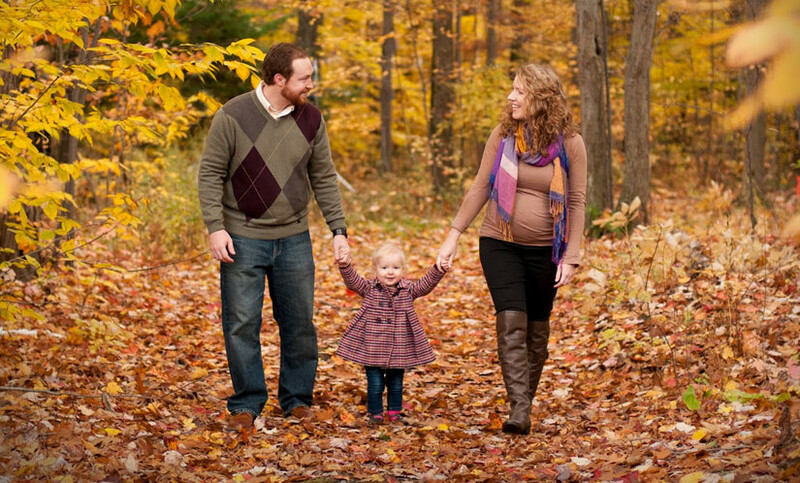 Place your Bark now and we’ll do all the legwork to get you quotes from local event photographers fast and free. It’s October. The days are getting shorter, the leaves are turning brown and the weather’s already starting to take a turn for the worse. That means it’s time to start fixing up your home to keep out the wind and rain, and to make sure your garden is looking its best for when you entertain guests for Halloween or Bonfire Night. 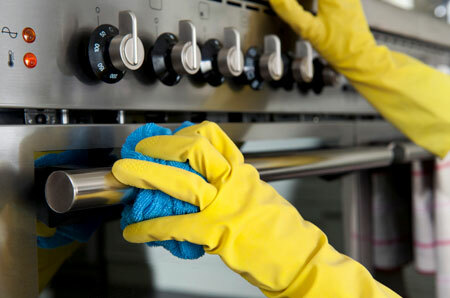 To help you get your home ready for the changing of the seasons, here are our five essential household jobs to tackle this Autumn. As Autumn progresses and temperatures start to fall, many of your plants will either prepare for dormancy or die outright. So putting the garden to bed for the winter is mostly a matter of clearing up and covering up. But, let’s face it, digging up the icy ground and shovelling mulch in the sleet and rain is nasty work. So why not draft in a professional to do it for you? Place your Bark now and we’ll begin contacting recommended local gardeners on your behalf right away. 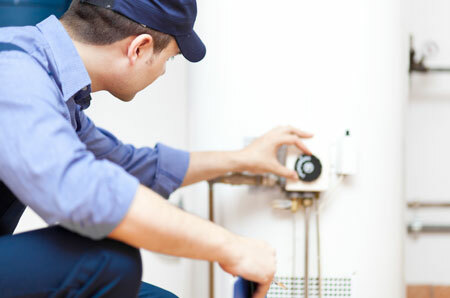 It’s already getting cold enough outside to justify firing up your boiler in the evenings – and that means it’s time to book it in for its annual checkup. 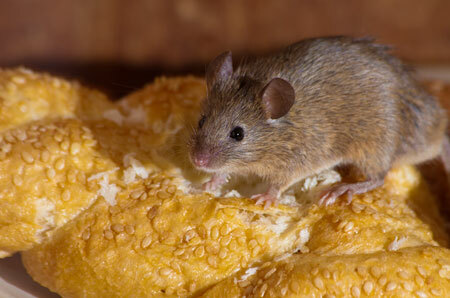 When the weather starts to turn, mice and rats often make their way inside seeking refuge against the elements – and unless you want to end up sharing your space with them later in the year, now is the time to act. It takes a trained eye to find and block the gaps small rodents may use to enter your home, as mice can completely flatten their skeletons to fit through even the tiniest gaps. So place a pest control Bark today to get quotes from pest control experts in your area fast and free. Whether you’re having your friends over for Guy Fawkes Night, throwing an epic Halloween party or just having your family round for Christmas – there’s nothing like a good party to brighten up the winter months. 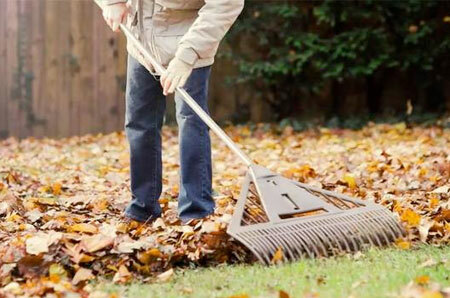 Unfortunately, these big social events can really take their toll on your garden, kitchen and living room. But with thousands of registered housekeepers on our site, keeping your home spotless through party season is easy with Bark. Place your house cleaning request today and we’ll do all the legwork to get you quotes from recommended local pros fast and free.